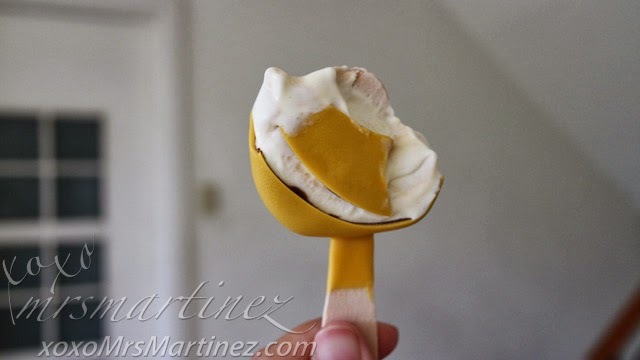 I was not able to attend its launching a few months back, I know, so sad, right?! 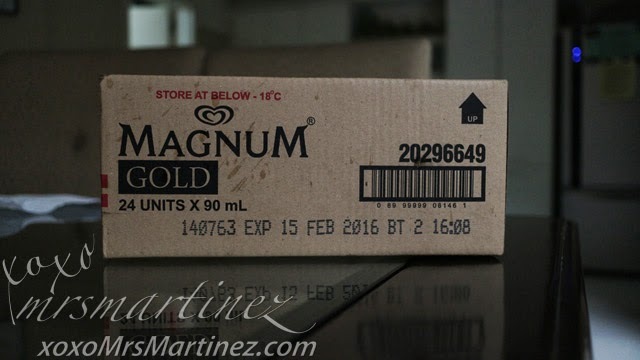 Anyway, I am glad that my friends at Unilever sent over a box of Magnum a few days ago! 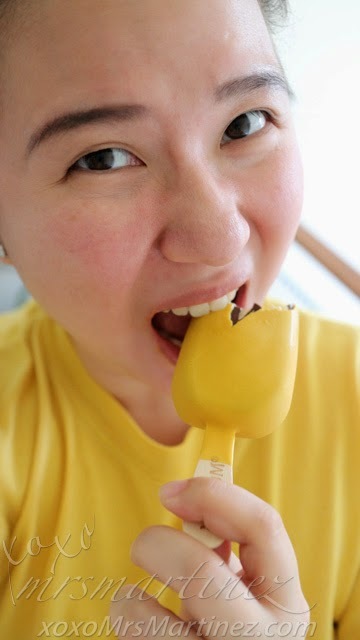 Can you believe that this is my first time to eat Magnum Gold?! 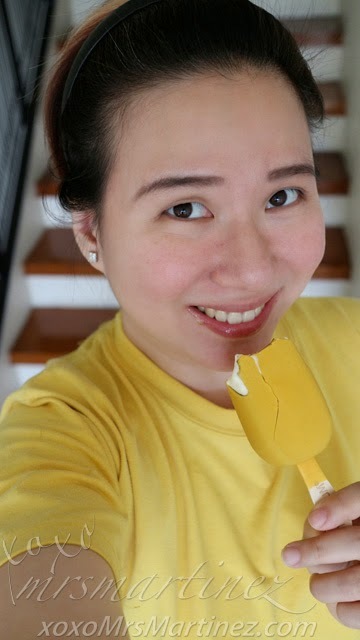 I was out the whole morning, I went to my OB-Gyne to receive Hepatitis B booster shot and then accompanied a friend of mine to a preschool in our neighborhood. 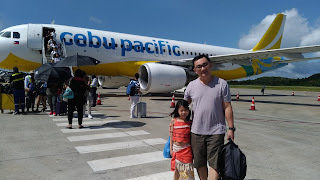 When I went back home, I was sweating like a pig. 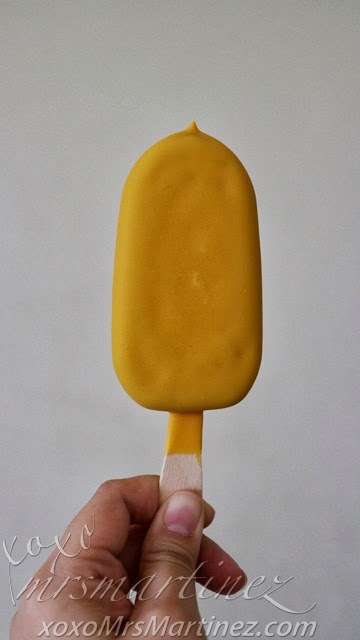 The air conditioner in our room is not functioning well so, yeah, I am glad that there's Magnum waiting to rescue me in this sweltering afternoon heat. 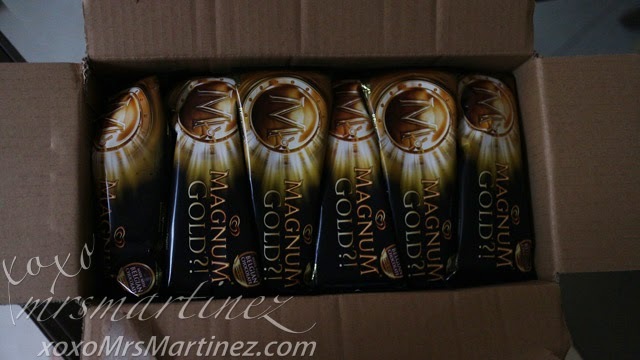 here's my box of Magnum Gold... 24 pieces!!! 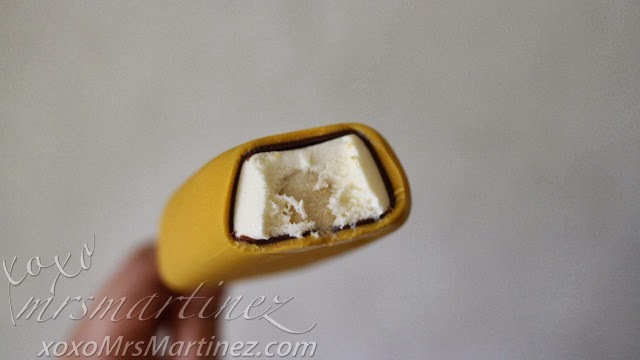 Magnum Gold is a vanilla flavored ice cream with seasalt caramel sauce coated with golden coloured chocolate. 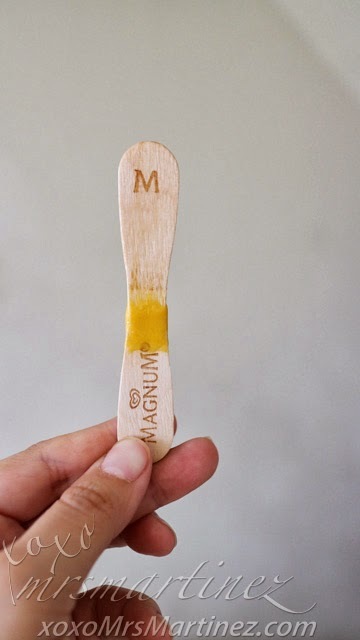 It spells yummy to me! 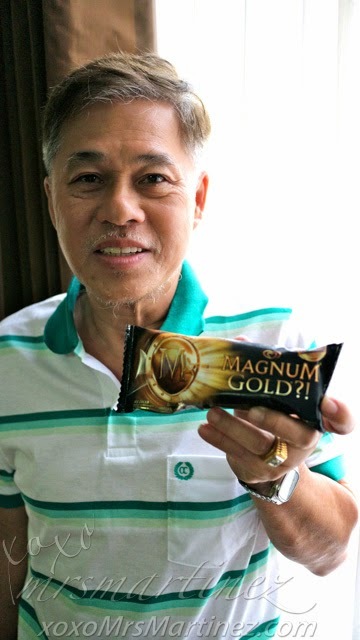 of course, I gave dad Magnum Gold too! 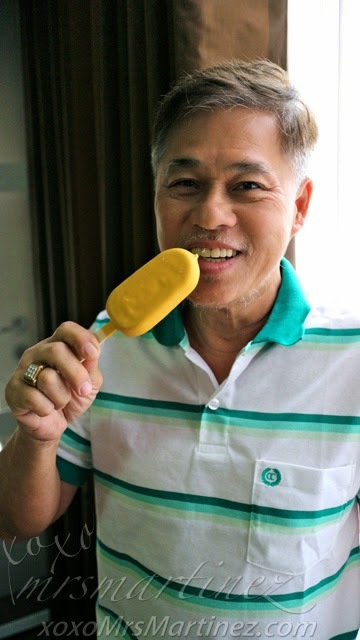 anything he likes, I like too! 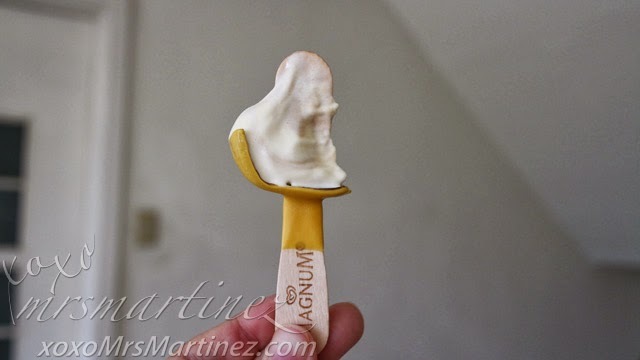 I shared my Magnum stash with my dad and DH, I even gave some to yaya and my other helper and they all loved it! 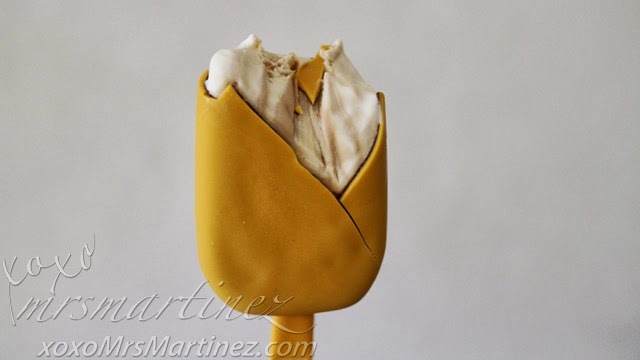 Incidentally, Magnum Manila will be opening its doors on April 8, 2014 in SM Aura. 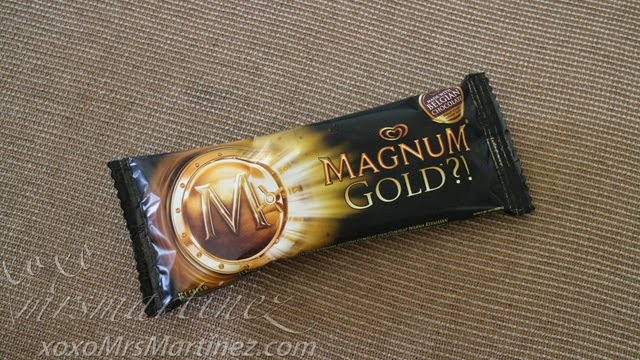 How was your Magnum Gold experience?